I love the changing of the seasons and am happy to live in Pennsylvania were we experience all 4 seasons. 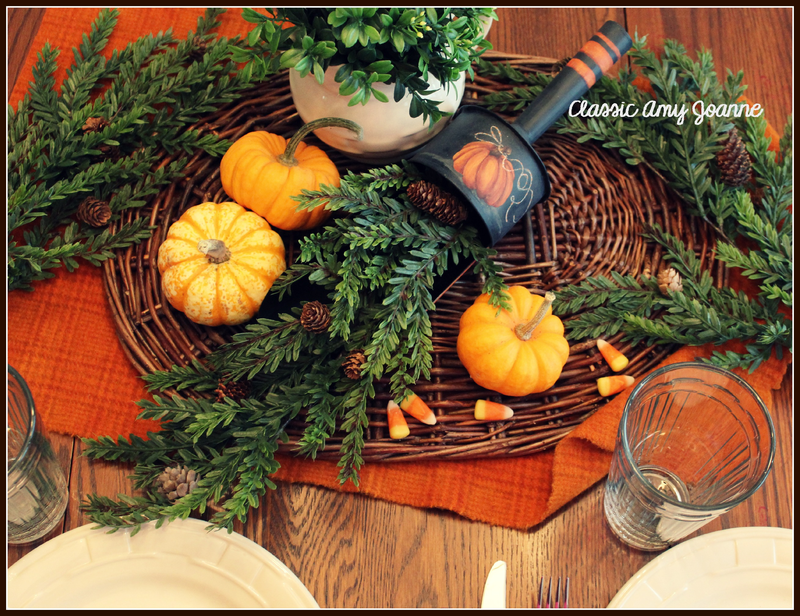 The changing seasons gives me the opportunity to change my home décor, change my clothing and change the meals I prepare. 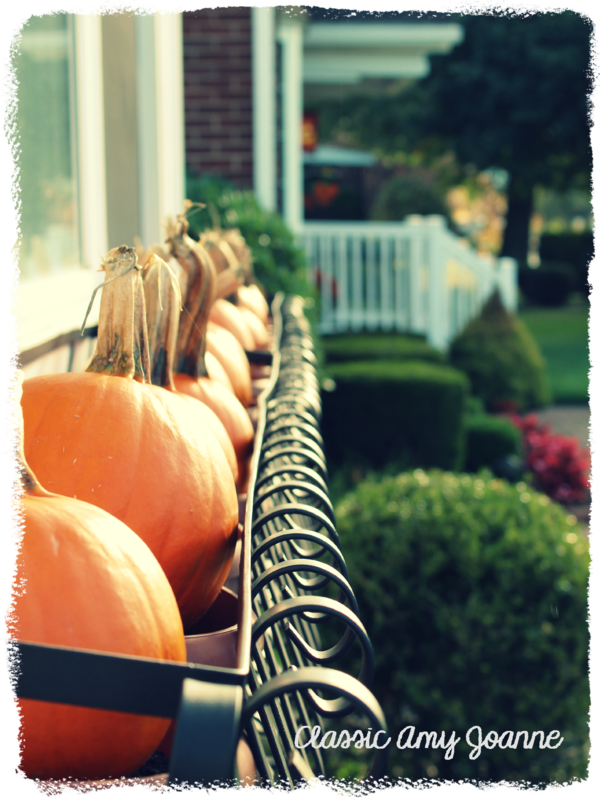 When Autumn arrives, I carry the ‘bins’ from the attic, put on my favorite music and turn the house upside down changing the décor. I might have inherited this from my Mom, we were forever changing furniture arrangements growing up, Everything felt new and fresh again….. 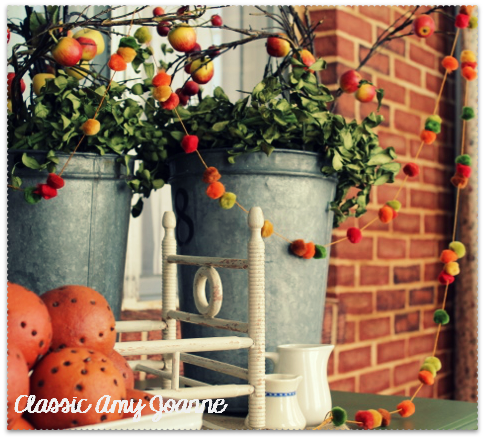 Most seasonal vignettes in my home are ‘things’ collected over time, from an antiquing trip, a memory or a photo, something from nature, hand crafted or hand painted. 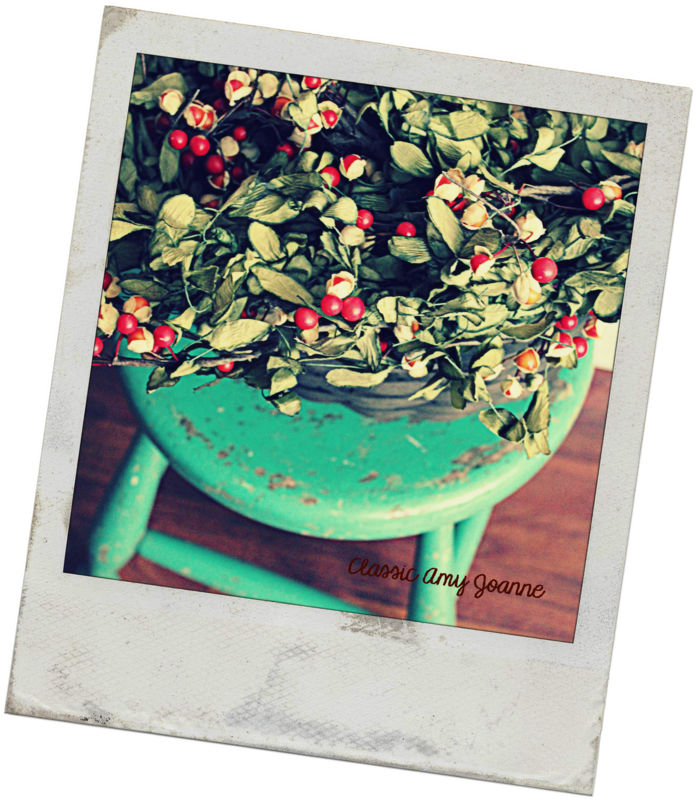 The above photo is from a previous post on how to create ‘pom-pom’ garland….(here). 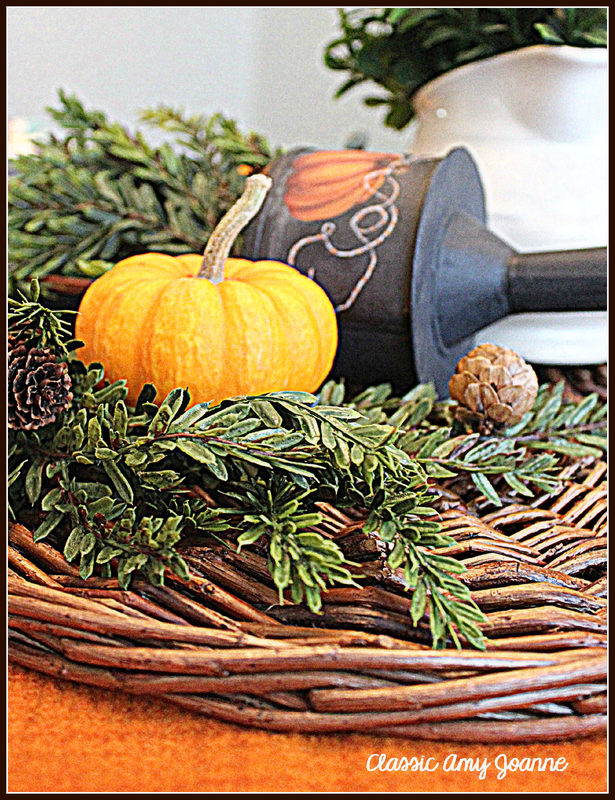 An example of antiques, nature and hand crafted, all coming together using autumn colors to create the autumn vignette. 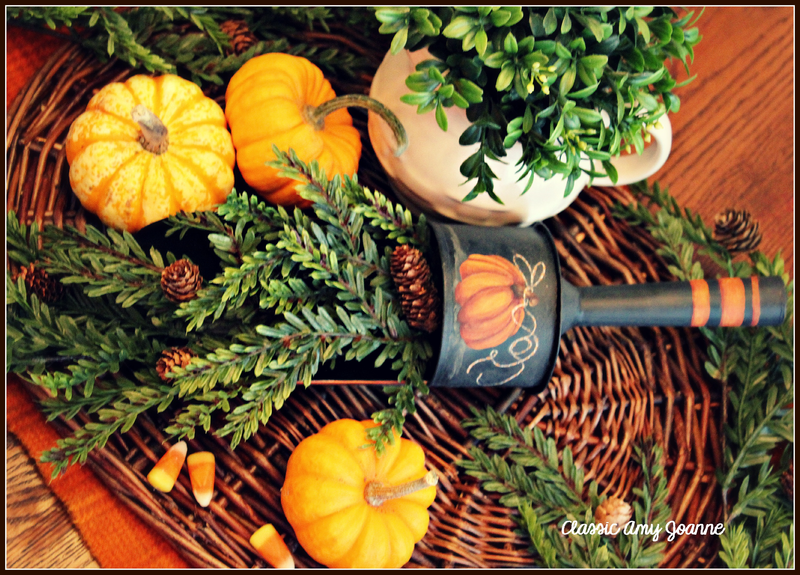 I created the below autumn vignette using a hand painted tin scoop…..a few branches from my Christmas greens, pumpkins from our friends Pumpkin Farm, and a wool fabric scrap waiting for a purpose…. So is it a Tablescape, Centerpiece or Vignette? Last week, my husband Jerry came home from his morning coffee group to find me taking the below photo, I was in my pajamas and comfy wool socks, standing on top of a chair hovering over the table….the funnier part of that is, it didn’t even phase him! It’s just a typical day in hour home…. Typically, as I pull ‘things’ out of the bin, I start placing them here and there with no purpose or thought in mind, working in the pumpkins and the new finds until it is pleasing to the eye….each year it looks different even though some elements remain the same….. 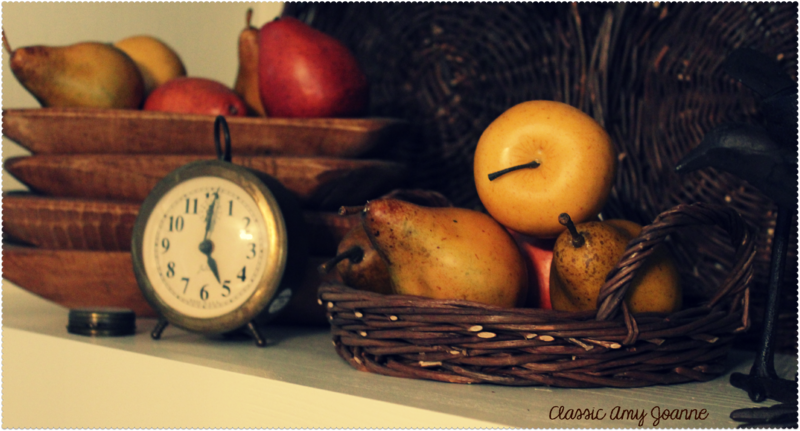 In the next vignette the bowls were a prop that had been used at Bath and Body Works in the early days, the old brass clock was an antique find – ‘it’s 5 o’clock somewhere’, (oh my Amy, you left the price tag on the clock, gee-wiz) and the fruit are a craft shop find from years ago….the baskets, doesn’t everyone have baskets? 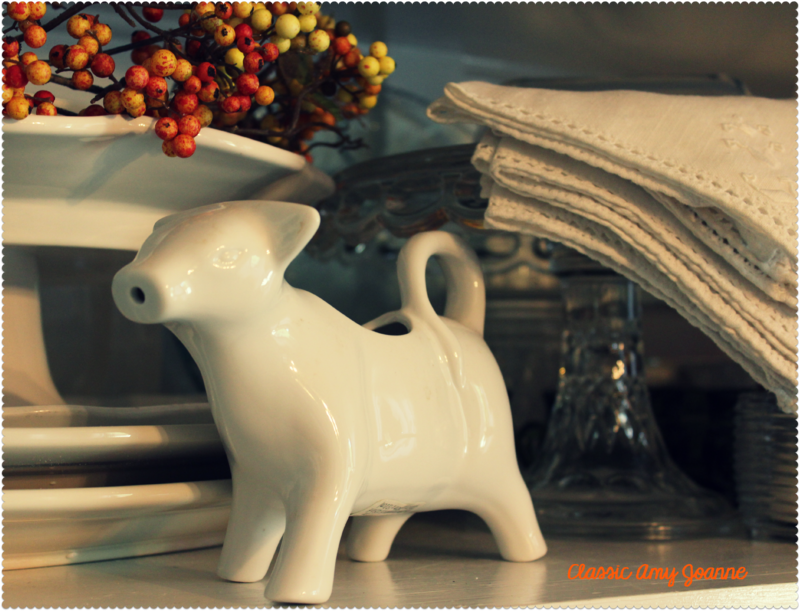 Below, the cow creamer is from Walmart’s Better Homes and Gardens Collection, the berries are part of my autumn floral stash, the linens are an antique find from last year and the dishes are collected over time, all coming together to create a vignette. 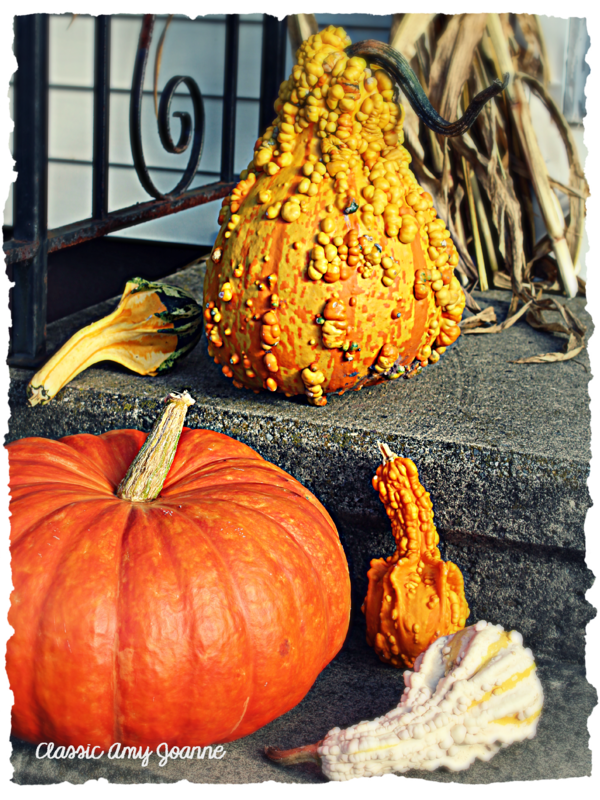 Autumn is a fun season as well to add touches to the outside…..
…Dallas of Shafer’s Pumpkin Farm gave us the names of the pumpkins we purchased….the lumpy yellow one in back is ‘Lunch Lady’ and the glossy round pumpkin in front is ‘Cinderella’….oh what fun! 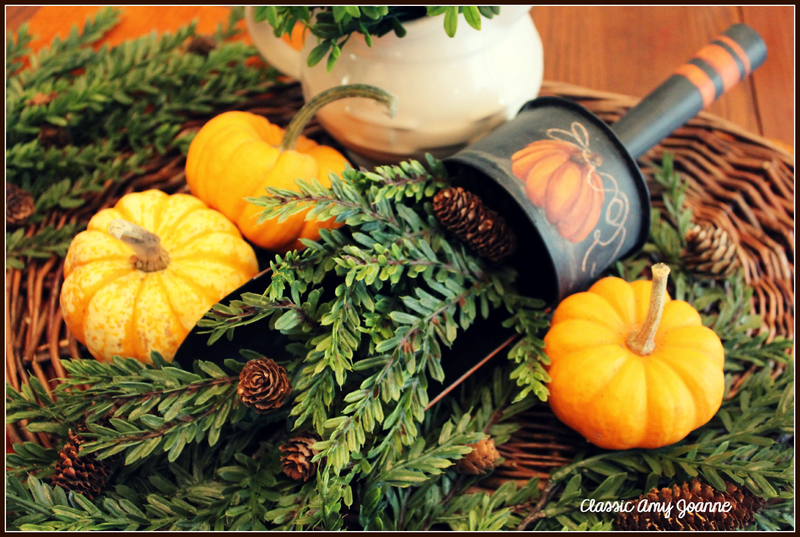 I’d love to hear from you….comment and share your traditions when adding Autumn Vignettes to hour home…. The scoop is a possible acrylic pattern in the future…..I haven’t decided yet, the scoop is discontinued and hoping to find a source so the pattern can be made as requested! Amy… try Della Wetterman’s site for a tin scoop. Everything is beautiful, love how you write. You are gifted in so many ways!